Good Friday // 19th April — Join us at 110 Morts Rd to celebrate Good Friday. For those who prefer a quieter reflective Good Friday, come along to our 8.00am Holy Communion Service. 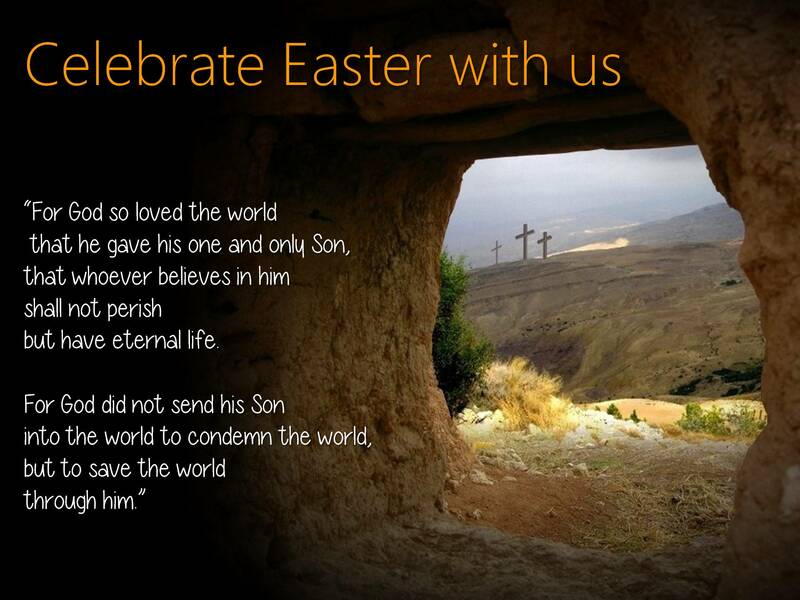 For those who wish to celebrate Good Friday with children, you are most welcome at our 10.00am service. Easter Sunday // 21st April — Join us at 110 Morts Rd to Celebrate the risen Jesus. Come along to our traditional service at 8.00am or to our family service at 10.00am or our contemporary service at 6.00pm.